This September, on the second day of Sukkot, JCC Rockland did something it had never done before. It opened for business. The way in which it did business was qualitatively different than a normal weekday. No money changed hands. The Fit Café was closed. The vending machines didn’t operate. There were no art programs, classes or card games. But if you wanted to work out, the fitness center was up and running. And more than 350 people showed up. There was no formal announcement about the change. Instead, in the fall program guide, unlike in years past, the second days of Sukkot, Pesach and Shavuot, Simchat Torah itself and the last day of Pesach, were no longer listed as closed. Not everyone has been happy with the decision to break from tradition. But what happens when the tradition and the community standard are on a collision course? What do you do when the majority of the people you serve are no longer observing that way? Last year, the JCC took part in a benchmarking program run by the Jewish Community Center Association’s Mandel Center for Excellence in Leadership. More than 500 people responded. In open comments where people could address anything they wanted, almost 150 of those remarks concerned a desire for hours on Saturdays and Jewish holidays. This is something JCCs all over the country have been grappling with. 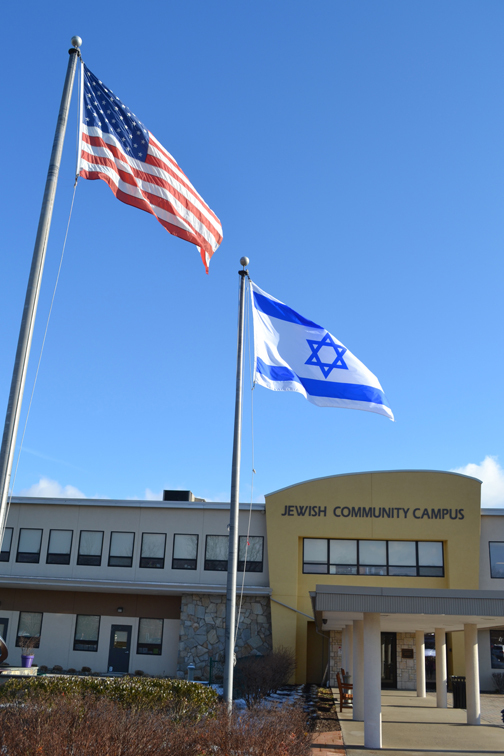 When the first JCCs were founded, they were closed on Jewish holidays and Shabbat. But in the past three decades, many have gone from not opening at all, to opening on Saturday afternoons, to opening all day Saturdays to now, the second days of the haggim, according to David Posner, vice president at the JCCA’s Mandel Center. One community that struggled with this reality recently is Baltimore, where there is a very observant community, a more secular one and two JCCs to serve them. When the issue of opening on Shabbat at the northern Owings Mills location, which serves a more secular population, arose a little more then a decade ago, there were vehement protests, according to Robin Rose-Samuels, the marketing director for the JCC of Greater Baltimore. The mood was angry and the proposal did not pass. But in the years since, the JCC has reached out to the Orthodox community and met its needs very specifically. There are gym and pool hours with separate times for men and women and the Park Heights location, which serves a more Orthodox population, is open right after Shabbat. These are services that the observant cannot get elsewhere, she said. Owings Mills opened on Shabbats in 2009 in response to members’ comments during their benchmarking study. It was just another way to serve as much of the Jewish community as possible. Was everyone happy? Not by a long shot. But criticism didn’t always come from the expected quarter, Rose-Samuels said. I’ve heard that comment too, in regards to our JCC’s decision, and I have to disagree. I don’t feel our JCC is any less a Jewish institution because of the decision to open on the haggim than it was before. The programming remains the same. The JCC is not a synagogue that caters to the needs of people who align along a shared set of observance or understanding of tradition. It’s a cultural institution that serves as wide a variety of Jews as any organization out there, and must balance their needs. Our JCC has a women’s gym for those with modesty concerns, and now it has hours on the second days of the holidays, which no Reform Jew, much less an unaffiliated one, observes. Our JCC’s decision isn’t going to change how I observe those five days, when I’ll be in shul. If someone else decides to go to the gym, how will I ever know? My JCC in Dallas was just as much a part of my Jewish upbringing as was my synagogue. Today I’m more observant than I was growing up in a Reform congregation; until I was an adult, I never held a second seder, or took off Sukkot at all. Did that mean I was any less Jewish then than I am today? 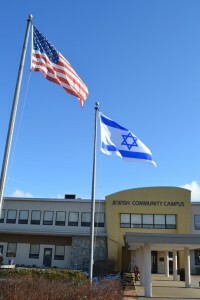 A JCC has an important role to play in the community. It can offer Jewish programming that a synagogue does not or cannot, such as sports that do not conflict with Hebrew school or Shabbat; or a film festival that draws people from beyond just one synagogue. It has the potential to reach people who aren’t that connected, to make the not so affiliated young mom think about joining a shul after enjoying a toddler holiday program. It’s a point of entry for those who might not otherwise walk in through that Jewish door. We are not one people; and yet, we are. And as such, the JCC belongs to all of us. Is it therefore responsible for holding to a standard that many, no most, of the Jewish population does not hold to itself? Or to accommodate as many as possible? But we have to be willing to accept those differences. And that might mean accepting the JCC’s new hours and those who desire to work out at those times. If we continue to set the bar at a place so that Jewish life appeals only to those of us in the fold, with our set ideas and fixed notions of how things ought to be, how will we ever convince those outside the fold that we care about them, that our institutions are valuable, and that they, too, are part of the Jewish conversation?